As Catherine Storey stands in the lobby of Synovus Bank with Roswell Arts Fund Development Director Heidi Speckhart, they witness true community connection through the arts. Local business owner Tolbert Yilmaz studies the newly installed artwork in the lobby as a part of the Roswell Visitor and Convention Bureau’s Azalea Festival. As he studies one sculpture of a metallic wing, he tells Catherine and Heidi that he needs something like this for his dance studio that is currently being built in Roswell, Tolbert Yilmaz School of Dance. Catherine and Heidi tell him that he’s in luck because the artist of this unique piece also happens to be in the bank lobby at this very moment. Catherine and Heidi introduce Tolbert to Michael Dillon, the artist. Michael shows Tolbert how the wing spins around. The two exchange contact information as Catherine and Heidi laugh about the serendipitous timing of the situation. 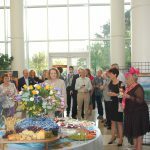 For the third year in a row, Synovus hosts the Invitational Art Exhibition as a part of Roswell Azalea Festival. “This is a great opportunity to bring people together around the arts and to recognize the importance of art in the community, and to celebrate the work of the artists themselves,” said Catherine. 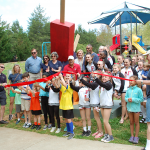 This year, the Roswell Azalea Festival worked with the Roswell Arts Fund to curate the artworks of ArtAround Roswell artists and other local artists for the exhibition. All of the artwork will be in the lobby of Synovus throughout the month of April and is available to purchase for your own collection. A portion of the proceeds will benefit the Roswell Arts Fund, a 501(c)3 organization. 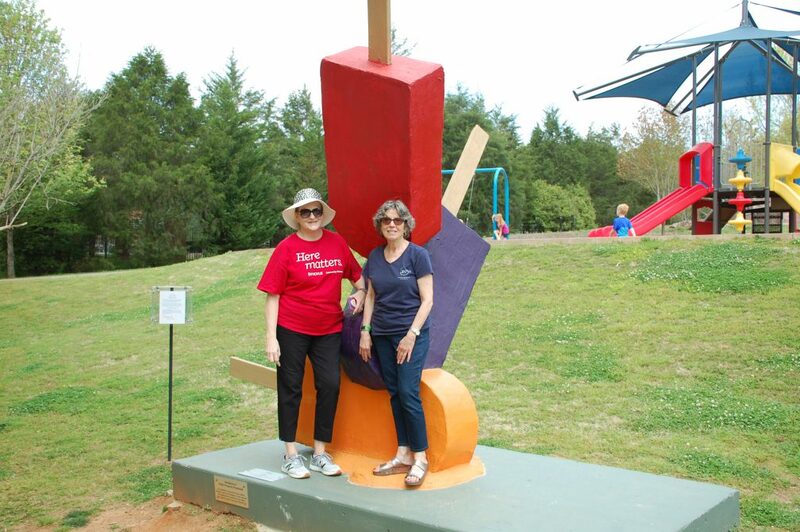 Every year since the Roswell Arts Fund’s inception in 2016, Synovus (formerly Bank of North Georgia) has sponsored a sculpture in the ArtAround Roswell Sculpture Tour. 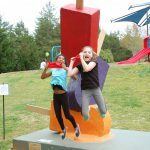 This year they are the sponsor of Ice Pops by Craig Gray, located near the playground in Riverside Park. This sponsorship is led by Catherine who is Vice President, Retail Market Manager at Synovus. 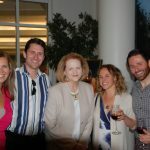 Catherine was not really interested in art until she joined the Roswell Arts Fund Board a few years ago. 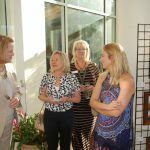 Now she sees the importance of arts in the community, and she recognizes how it draws people together to build relationships and also how it enhances economic development by bringing visitors to the area. Catherine has worked at Synovus, formerly Bank of North Georgia, for many years. She says the bank has always encouraged community connection as a part of the culture of the company. She is a long-time resident of Roswell, living in the community for the past 33 years. She loves seeing her neighbors, who are also customers and friends, everywhere she goes. At the Opening Celebration on Saturday, April 14, Synovus will be giving out free King of Pops popsicles. Live music will be performed by Along for the Ride, featuring another Roswell Arts Fund board member Scott Hitch. There will also be dance performances by FootNotes Dance and Acrobatics, free shuttles provided by Carl Black Roswell GMC Buick, food truck, face painting, lawn games, giveaways and more. Catherine is a also an active board member for the Children’s Development Academy, where they provide childcare to low income families. She was previously a member of the Girl Scouts for several years and served in a top leadership role. She’s a youth leader at United Methodist Church, and she is on the board of the Kiwanis where they focus on helping the Key Club at Centennial High School. Through the organization, students learn the importance of volunteering to promote community engagement and prepare for college each year. The Kiwanis Club rewards 8 to 10 scholarships to these students each year. We look forward to seeing the community in the Synovus lobby during the month of April to view the art connected with Azalea Festival. 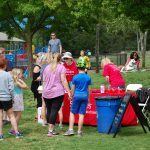 We also hope to see everyone on Saturday, April 14 at Riverside Park for free King of Pops and to celebrate ArtAround Roswell.